Patricia Taboada-Serrano was recently recognized as a 2018 Emerging Investigator by the American Chemical Society for her contributions to the field of chemical thermodynamics. Patricia Taboada-Serrano’s work in developing water treatment technology through molecular engineering could impact how some communities survive. 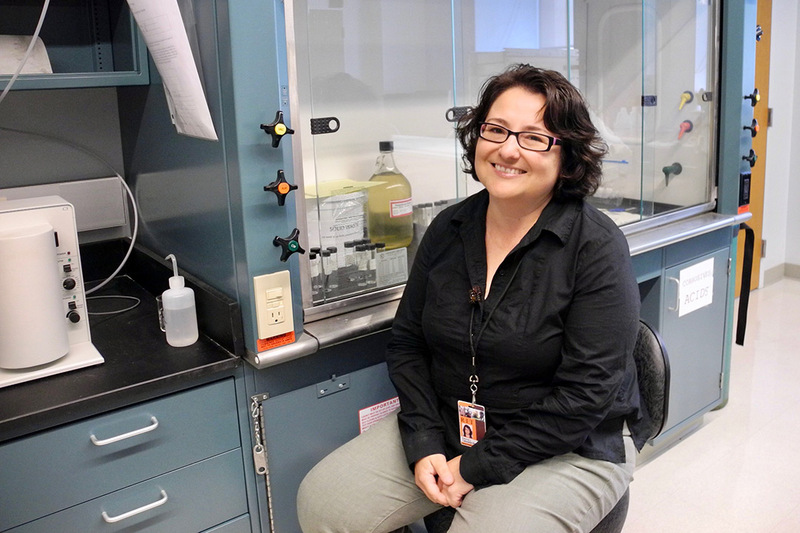 A faculty member at Rochester Institute of Technology, Taboada-Serrano was recognized for this breakthrough work and distinguished as a 2018 Emerging Investigator in the field of chemical thermodynamics by the American Chemical Society. She was one of 20 faculty-researchers from universities and organizations around the world recognized for identifying innovative and interdisciplinary solutions in chemical thermodynamics. Taboada-Serrano, an associate professor of chemical engineering in RIT’s Kate Gleason College of Engineering, works in molecular engineering—an emerging field that involves testing molecular properties to design new materials and processes—and she is developing a series of water treatment and remediation technologies using low-voltage electrical fields called capacitive deionization. The work details removing impurities in water that had been used for industrial processes such as mining through understanding the physics of the materials and removal processes at the molecular and nanoscale levels. It has implications for water conservation and re-use after industrial processes, but could also influence other industries such as improvements to the electro-chemical processing done in batteries, supercapacitors and fuel cells, for example. Taboada-Serrano’s approach is based on understanding the physics of materials and how processes affect even the smallest of molecules for removal from contaminated water. Electrochemistry provides an alternative to current expensive deionization processes, specifically as the electrical double layers play a role in applications related to energy storage and water purification. These applications have shown improved performance when tailored nanostructures are used. As the technology to manufacture nanodevices continues to improve, electrical double layers can be engineered to achieve more efficient processing of water, Taboada-Serrano explained. Her team’s mathematical models to test the theory have shown promise, and eventual prototyping of water deionization solutions can also incorporate renewable energies. More about this work can be found in the Journal of Chemical and Engineering Data.